Dr Stefan W. Czarniecki, MD, a member of the HIFU CLINIC Medical Team, was the second Polish urology specialist to receive the EDAP TMS certificate for Ablatherm® HIFU. The first certified operator of Ablatherm® HIFU in Poland is Dr Marek Filipek, MD Ph D, a head of the Medical Team at the HIFU CLINIC Prostate Cancer Treatment Centre. As a member of the HIFU CLINIC Team he cooperates with the Medicover Hospital in Wilanów, Warsaw. Dr Stefan W. Czarniecki is a resident specialist at the Urology Unit, Independent Specialist Zachodni Hospital in Grodzisk Mazowiecki. He is a graduate of Collegium Medicum, Jagiellonian University in Krakow. He completed clinical rotations at the Mater Dei Hospital, Malta, and medical intern at invasive cardiology, internal medicine, and emergency units. 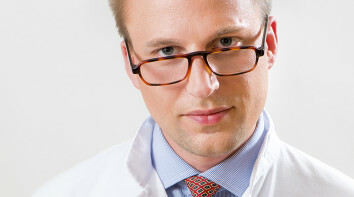 He holds certificates of the Polish Urological Association (PTU) in urological ultrasound diagnostics. Dr Stefan W. Czarniecki was born in the USA. He studied at the McGill University in Montreal, where he worked in research on spermatogonial stem cells at the McGill University Health Center. In 2008, during war operations in Georgia, he was a member and a coordinator of the Medical and Humanitarian Mission of Polish Association of the Sovereign Military Order of Malta at the refugee camp in Gori. As a part of his activities, together with the medical team he consulted over 740 cases in the camp of over 2300 refugees; he also created and managed four medical care centres in Tbilisi. He is the youngest signatory of "Carta di Venezia" (during the first "World Conference on the Future of Science" in 2005). From the very beginning of his professional career, Dr Stefan W. Czarniecki has been conducting scientific research and participating in international clinical studies. One of them was A Randomized, Double-blind, Phase 3 Efficacy Trial of PROSTVAC-V/F ± GM-CSF in Men With Asymptomatic or Minimally Symptomatic Metastatic, Castrate-Resistant Prostate Cancer (2014-2015). It is a global clinical study evaluating an experimental immunotherapy for metastatic prostate cancer based on a vaccine. Dr Czarniecki participated in many research and refreshing courses. He is a member of the Polish Urological Association (PTU), European Association of Urology and America urological Association. Since 2013, Dr Czarniecki gives cyclic lectures during courses of Roztocze School of Ultrasonography (RSU). His lectures often focused on the HIFU method and the Ablatherm® HIFU robotic device. In 2014, Dr Czarniecki underwent a training in Focal-One® HIFU, with Dr Albert Gelet, at Hospices Civils de Lyon Edouard Herriot Hospital, Lyon, France. In the same year, in April, Doctor also participated in a training course "Focal therapy in prostate cancer” organised by the European School of Urology in Stockholm. The role of TURP in the assessment of T-staging of prostate cancer in a group of patients undergoing primary “radical-HIFU” in own material. The assessment of PSA concentration dynamics in prostate cancer patients treated with “radical-HIFU” in own material. Preliminary findings. Prostate biopsy in patients following high intensity focused ultrasound (HIFU) therapy for prostate cancer in own material. Preliminary findings. The assessment of PSA concentration dynamics in prostate cancer patients treated with “radical-HIFU” in own material - preliminary findings. Prostate biopsy in patients following high intensity focused ultrasound (HIFU) therapy for prostate cancer in own material – preliminary results. Dr Stefan W. Czarniecki highly values cooperation and exchange of experience with medical centres abroad, specialising in modern methods for prostate cancer treatment. Since 2011, the medical team at the HIFU CLINIC Prostate Cancer Treatment Centre cooperates with Stefan Thüroff, MD, PhD, from Klinikum Harlaching in Munich, where the HIFU procedure has been used for treatment of prostate cancer for over 18 years. The most difficult medical cases are frequently discussed by specialists from HIFU CLINIC and the team from Munich. Since 2013, the specialists from the medical centre HIFU CLINIC Prostate Cancer Treatment Centre cooperate with Mark Emberton and Dr. Hashim Ahmed, concerning Sonablate 500 HIFU at the University College in London. They are specialists in the focal therapy of prostate cancer. In 2014, Dr Czarniecki underwent a training in Focal-One HIFU with Dr Albert Gelet, at Hospices Civils de Lyon Edouard Herriot Hospital, Lyon, France. In the same year, in April, Doctor also participated in a training course "Focal therapy in prostate cancer” organised by the European School of Urology in Stockholm. Dr Czarniecki speaks fluent Polish and English.